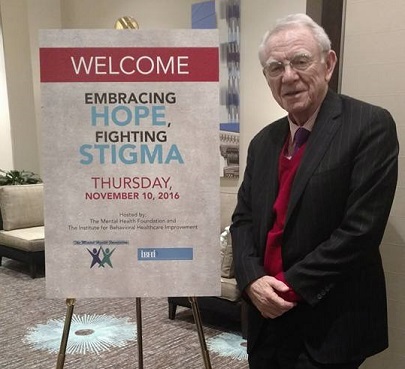 Opportunity to Embrace Hope, Fight Stigma Requires Continued Effort! There are no quick fixes for the challenges of fighting stigma surrounding the treatment of mental illness. There are no simple solutions for improving mental health policy, just as there is no easy answer for individuals and families struggling day by day with illness. But we all know the status quo is not acceptable. This is a time when people who care about these issues must join together for serious discussion and hard work to help craft improvements. That requires stimulating thought with fresh perspective and understanding to find more common ground, build broader partnerships and coalitions, and strengthen the resolve for change. It is our hope that our recent program, presented in collaboration with the Institute for Behavioral Healthcare Improvements will spark ideas, discussion, debate, relationship-building and simply be the beginning of a process of bringing people and groups together to better advance the opportunity to embrace hope. We thank all who participate in this initial effort and welcome others to join with us. Sign up for our Mail/Email list today to receive further information and updates! To view all videos click menu icon in the top-left corner of the video. Dr. Herbert Pardes after serving from January 2000 through September 2011 as President and Chief Executive Officer of New York-Presbyterian Hospital and the New York-Presbyterian Healthcare System became Executive Vice Chairman of the Board of Trustees of New York-Presbyterian Hospital. Under his leadership, New York-Presbyterian Hospital escalated to one of the highest ranked hospitals and comprehensive health care institutions in the United States. Contact the MHF Office with any questions.